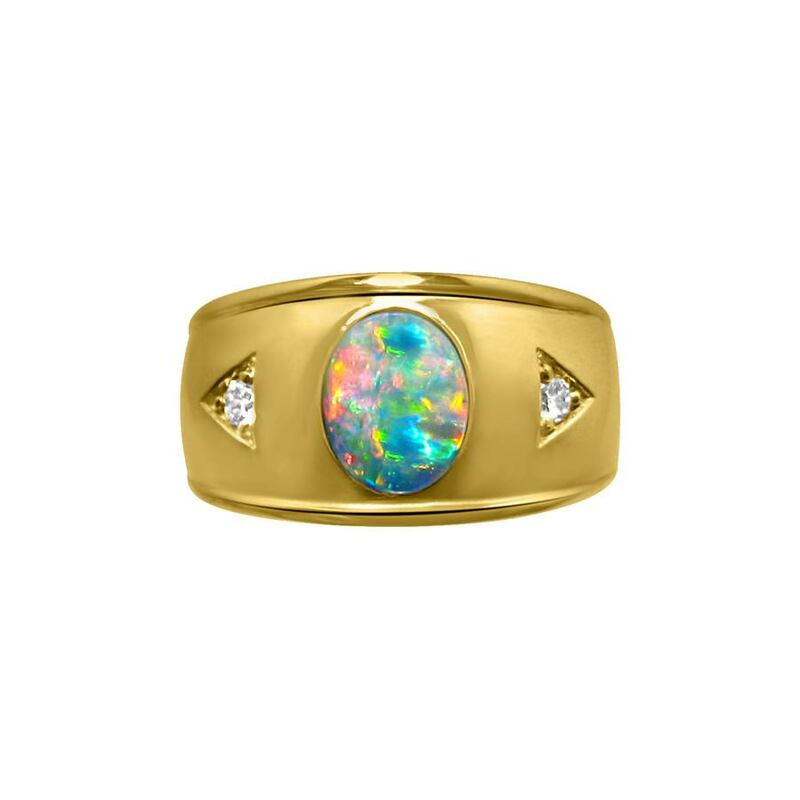 A stylish Opal ring for men with an oval Opal set in a wide band of 14k Gold accented with two Diamonds. 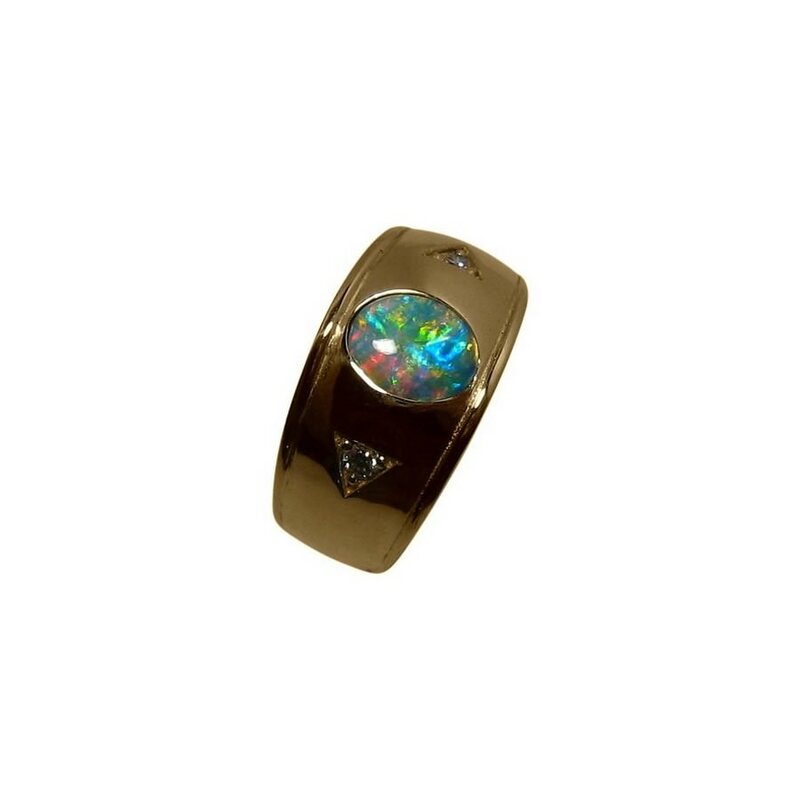 A classy mens Opal ring with an oval Lightning Ridge Black Crystal opal that shows mainly Red and Blue and is set in a wide band of 14k Gold. 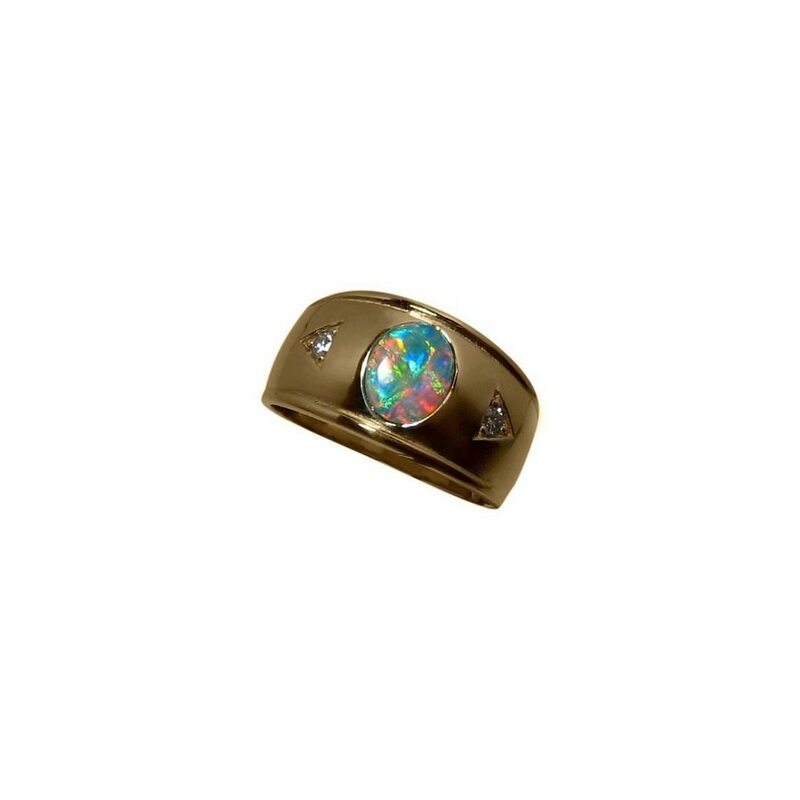 Shown in 14k Yellow Gold, the ring is 11.4 mm across and on either side of the Opal is a quality 2.5 mm Diamond. Watch the video below to see the play of color in the Opal and the high shine of Gold that the images don't indicate. 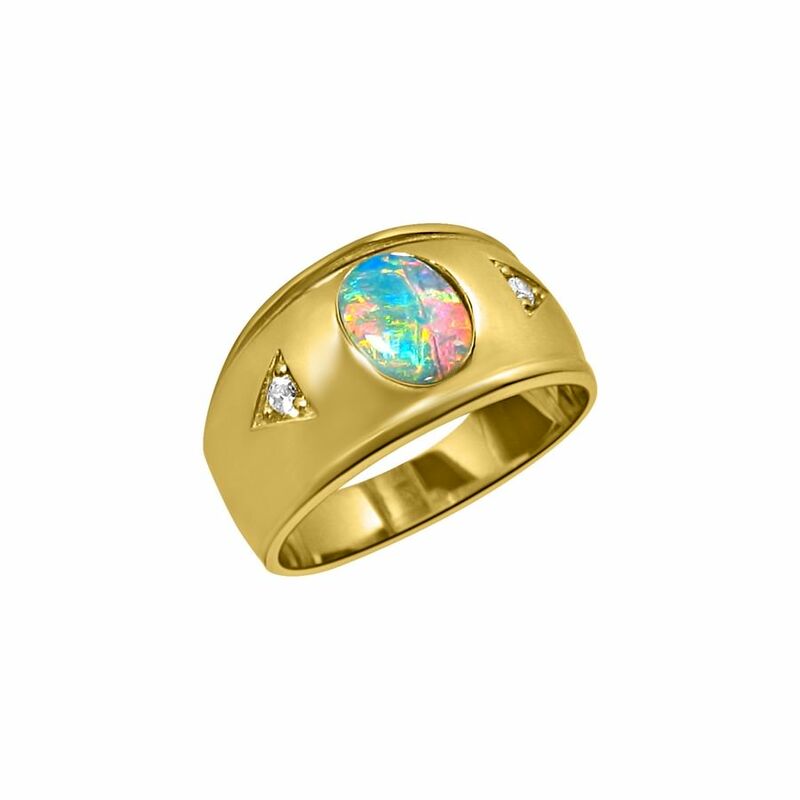 This is a quality Opal ring ready to ship as detailed below or will take about 7 days to make in any other ring size or choice of Gold color.